With DOC xPress, you can avoid wasting precious time trying to determine where data originates and how it’s being used. You can also easily evaluate the impact of changes to your systems before you make them. Object Lineage allows you to answer the question “Where did this data come from?” A huge time-drain for all types of SQL developers and DBAs is tracing the source of data within a system. 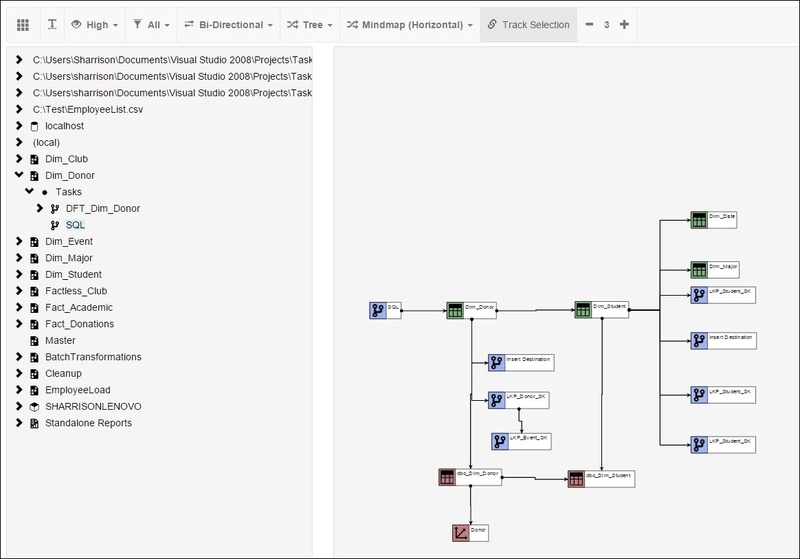 This component of DOC xPress enables users to explore how data in one part of their environment is used in other parts. For example, if you need to determine where a certain field on your SSRS report comes from, you can use Object Lineage to trace that field back to a database, see the SSIS package that populated the column, and even trace that back to the source database. 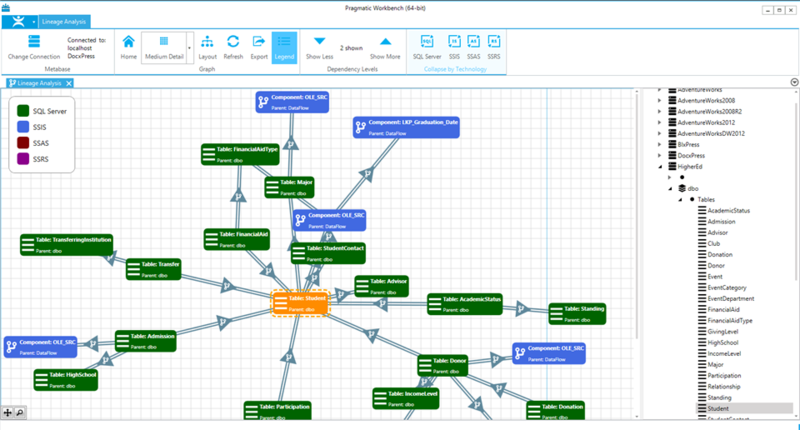 Object Lineage is both diagrammatic and interactive, allowing users to explore and drill down in their lineage model to view lineage details. This speeds up development by giving users the ability to view dependencies clearly and enables users to pinpoint the source of data in a report. The DOC xPress Impact Analysis component allows us to answer the question "What will be affected if I change this element of my environment?" This saves developers and DBAs countless hours trying to assess how a change to one part of their environment will impact others by enabling them to explore the dependencies in their environments. "MetaBank (MPS) documentation is always up-to-date, so it can be leveraged as a second line of defense for our processes. Our standards are the first line, and internal audit using Workbench is the second."